Doing uni studies, in the heavy realms of mathematics and science, while undertaking a US-based soccer scholarship and making your own music is a challenging mix. However, it is business as usual for Sydney’s Alexandra Lynn, a.k.a. Alex the Astronaut. She makes indie pop with a light electro edge about topics that deliberately avoid the more commonplace song writing fodder. To Whom It May Concern, her debut EP, has a homemade touch in its production, with countdowns to song starts and, in one track, the odd little sounds you might get at the end of a recording tape, included for the listener’s benefit. Alex’s voice captures some of the brightness of Missy Higgins, with the wispy quality of Lisa Mitchell. However, the actual song content, filled with observations about everyday life, is closer to Courtney Barnett in its quirky approach. Possessing a mind in overdrive, her words spill out at a frantic pace; she has so much to say. Opener ‘Already Home’ lists the little annoyances that appear as speed bumps in life. The song skips along with a simple rhythm, decorated with rippling heatwave keys and a catchy chorus. The bubbly ‘Rockstar City’ is a more complex construction, complete with its pinprick piano and whipcrack hooks. ‘Holes in the Story’ carries more effects, with slightly fuzzed vocals, strings and funny little squeaks and taps. Closer ‘I Believe in Music’ could be the artist’s personal manifesto. Using a minimalist acoustic approach, it is delivered in a style that is half a song, half a chat, including some very personal touches abut sickness in her family. 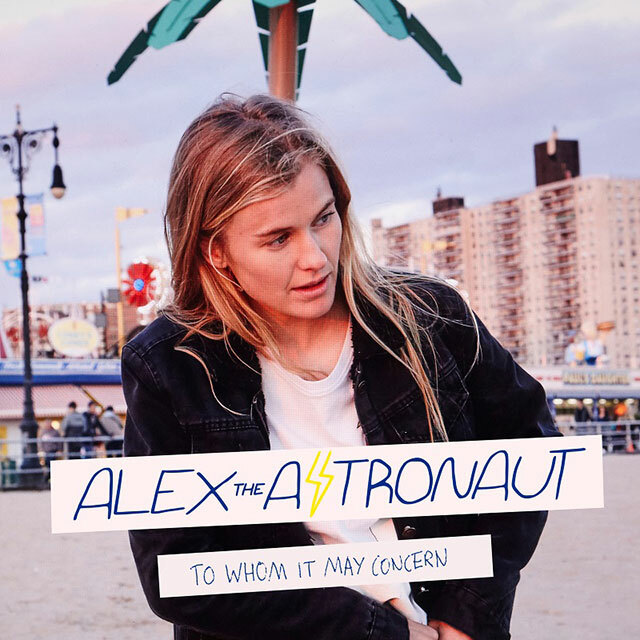 Alex the Astronaut’s debut offering is fresh and fun, with a welcome squirt of eccentricity.